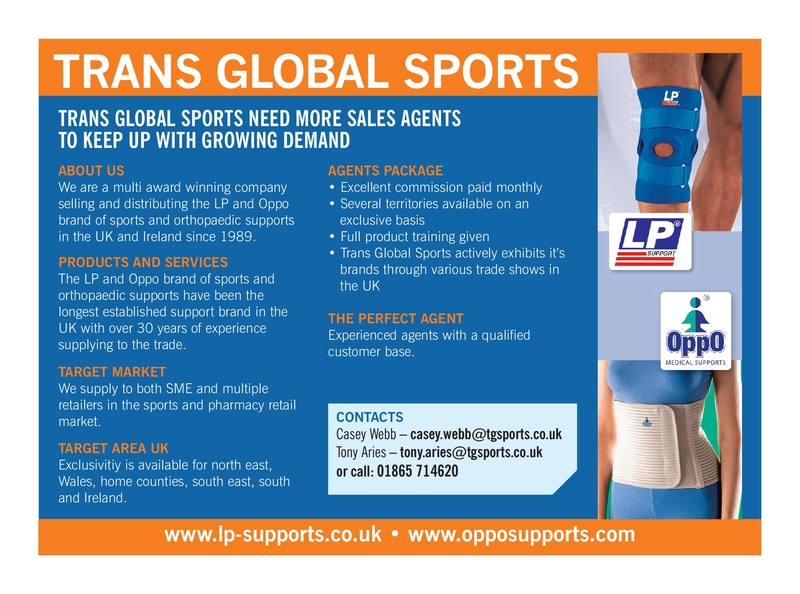 We are a multi award winning company selling and distributing the LP and Oppo brand of sports and orthopaedic supports in the UK and Ireland since 1989. The LP and Oppo brand of sports and orthopaedic supports have been the longest established support brand in the UK with over 30 years of experience supplying to the trade. We supply to both SME and multiple retailers in the sports and pharmacy retail market. Exclusivitiy is available for north east, Wales, home counties, south east, south and Ireland. Experienced agents with a qualified customer base.